No golf course designer can quite capture the same combination of challenge, beauty, and drama as Jack Nicklaus. 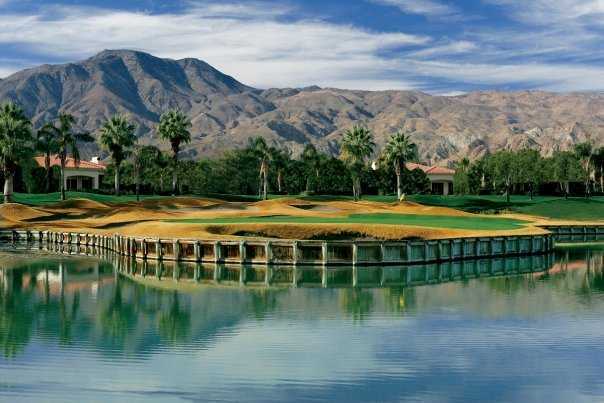 His bold strokes are laid out on a scenic desert canvas known as the PGA WEST Jack Nicklaus Tournament Course. Every hole on this demanding course requires its own unique strategy; especially the 561 yard, par 5 15th, which culminates with a shallow and well-bunkered island green. It is only fitting that a round on the Tournament Course should end with a dramatic water-crossing shot to the signature 9th and 18th double green.